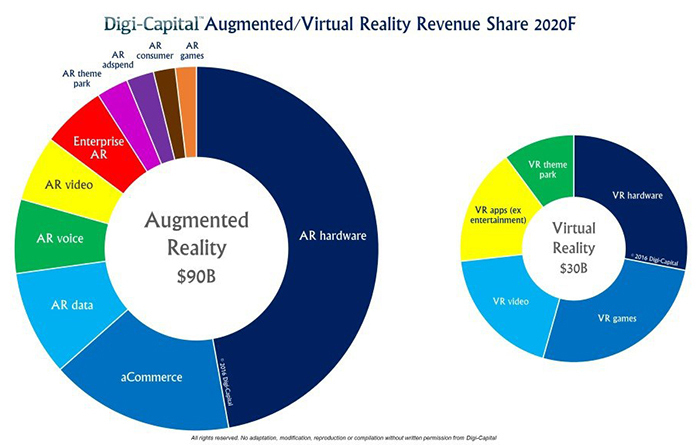 The World of AR and VR is expanding to a significant stake. It’s totally game changing experience, Lot of companies trying to push into. From Cheap VR to Awesome VRs and similar is with AR as well. I don’t need to speak differently about them. The Greatest point of this struggling era of VR and AR is the lack of quality apps as well as hardware costs a lot. Smartphones had brought the VR and AR experiences closer to delicious. Soon it will be as amazing as the Microsoft Holo Lens project in AR or HTC Vive in VR. Today I am going to specifically talk about the app Called GoPhygital which let me experience AR specifically anywhere anytime using existing smartphone. This could seriously change the perspective of everything I work in my day to day life. They currently had set of examples like the 2D drawing of the company logo or 2D drawing of heart when I showed it to app’s camera it totally changed it to the 3D model of the company logo or the heart so that I can zoom in and understand the depth reality of it. More over said It did it’s work extremely well only to limited images. The App being at much intial stage and capable to achieve much more than this. We had a chance to interect with the team itself. Why the name GoPhygital? What is it exactly inspired from? While VR has a low rate of adoption due to hefty pricing, do you think AR apps like GoPhygital help business owners to improve their customer experience? When co-founder Hitesh Jain (https://www.linkedin.com/in/hiteshjain) (who is also the Founder and CEO of WITS Interactive (https://www.witsindia.com), a Mumbai-based DesignTech agency) and I were brainstorming about what would be the brand identity, one of the points we spoke about was how the brand experience which the end user would have with our offerings had to be cohesive and seamless. One of the common observations we have had over the years of working across several projects is that the brand experience for a consumer is not seamless and cohesive across the various touch points via which the consumer interacts with the brand, be it in the physical domain or the digital domain. Very often, the consumer was not able to connect with the intended brand experience. We needed to bridge the gap between a brand’s presence in the digital space and physical space through its offerings, and encourage brands and organizations to go Phygital (Physical + Digital). And that was how we zeroed in on the name GoPhygital. How was the startup GoPhygital started? Any idea which helps in addressing a problem faced by people in their day to day lives has the potential to become a great idea! A few months back, around the time we were brainstorming about what would be the core idea of our venture, my co-founder and I were having a chat one day about how my four year old daughter was learning a lot easily from apps than how it was taught to her in school. The downside of too much ‘screen time’ when I asked him “But a four year old can’t read a book on her own, she needs someone reading it out to her”. And then it struck us, what if the book read out to her / interacted with her like an app would? And that is how the idea of GoPhygital was born. GoPhygital, as a venture, is focused on providing immersive, experiential solutions to its client-partners using Augmented Reality, Virtual Reality, and Mixed Reality as the core offerings. Our design and strategy team is a mix of artists and experts in behavioural science, who, once get to the core of what your business objectives are, apply the principles of design thinking to the fundamentals of human psychology to create Phygital strategies that work. What do you think about the market of AR and VR in the next upcoming years? 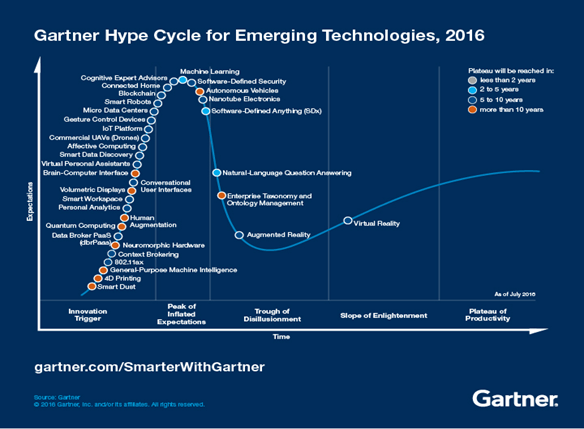 As per the Gartner Hype cycle for emerging technologies for 2016, AR & VR are expected to become a driving force for businesses in the next 5 to 10 years. 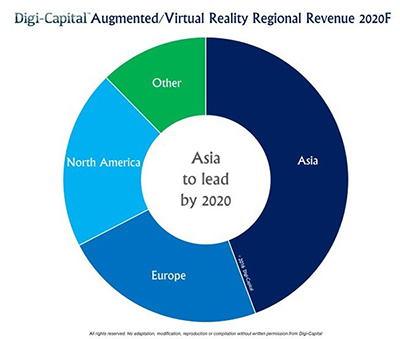 Also, a report done by Digi-Capital states that by the year 2020, AR & VR is expected to be a $120 billion industry with Asia being the dominant region leading this growth. What can we expect more from your AR App in future? The GoPhygital AR app currently showcases some of the work we are doing in the AR space and some of the possibilities that Augmented Reality can be used for. We will be adding additional case studies going forward. The app, over a period of time, will also evolve in to an ecosystem / platform which brands can use to leverage technologies like AR for reaching out and engaging their target audience. Could you show a glimpse of the Revenue model with the App? As a team, GoPhygital is focused on creating bespoke immersive, experiential solutions for its client-partners by leveraging technologies like AR, VR, MxR. As mentioned above, currently the app helps in giving brands and organizations a window to the possibilities of enhancing the user experience and user engagement through Augmented Reality. A couple of brands in the pharma and media space, as well as a renowned celebrity are soon going to use the GoPhygital AR and VR ecosystem to create an immersive experience for their audience. You being an Entrepreneur, Had you faced any tuff what was it exactly and what made you to go though it? As an entrepreneur, you face challenges almost every day and need to be constantly on top of things. The challenges vary from how do you crack the next deal to how do you make your stakeholders (your family, clients, colleagues, investors) buy into your vision or how do you keep your team, and at times even yourself, motivated and driven. The key to overcome such situations, in my opinion, is to believe in yourself, have a positive, never-say-die attitude and treat every challenge as an opportunity. You also need to realize that it is not always possible to overcome a challenge on your own and having a good team by your side, willing to fight it out with you, is half the battle won. I consider myself extremely fortunate to have a co-founder and a team who believes in the vision of GoPhygital and what we aspire to achieve. Had you planned for AR or VR hardware part to sell in future? As a company, GoPhygital is focused on creating content using AR and VR as a medium. There is no plan, currently, to get in the hardware space and sell AR or VR hardware. Any plans for making apps for Oculus or HTC Vive? Yes, we are awaiting the green-light on a couple of ideas which we have submitted for approval to the Oculus and Steam store, and will be developing content for the Oculus Rift and the HTC Vive.